One of the least rewarding parts of being a flooring consultant is when I am asked to give an opinion or to write a report on recently installed resin flooring that for whatever reason has not lived up to the expectations of the client. In the last two weeks I have visited four different sites, for four different clients in a wide range of market sectors; industrial, technology, commercial and a private domestic floor. Although each floor could be classified in broad terms as ‘resin flooring’ they couldn’t be more different and the standards of the product, workmanship and client expectations are worlds apart. The industrial floor was an epoxy SL, just 2mm thick, but installed upon an old industrial floor, prepared with a scabbler, but with no making good or intermediate levels between priming and pouring the SL. Add to this poor workmanship and the wrong choice of tools and the result is pretty ugly and probably one of the worst floors I have ever had the misfortune to view. The floor for the client in a high technology area was also an epoxy SL, but this time it needed to be static dissipative. 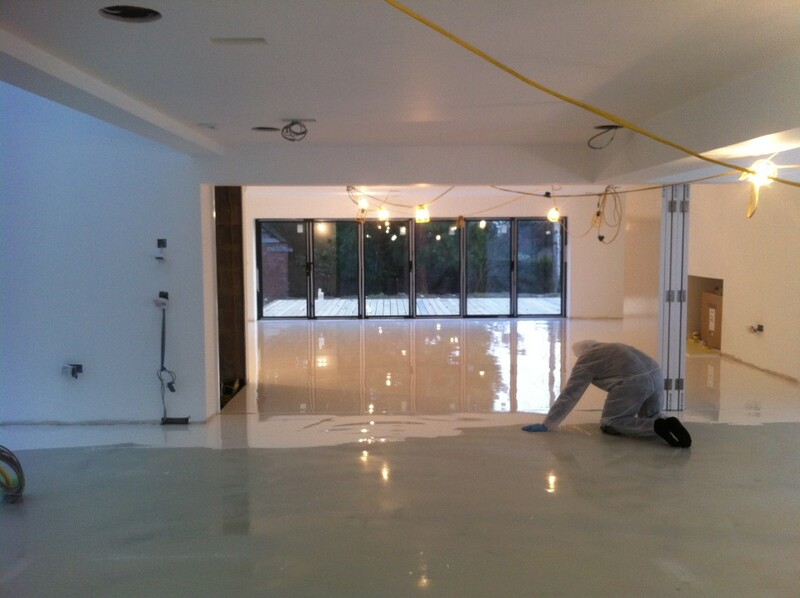 First and foremost a functional floor and being installed upon a new screed, the finish was superior to the industrial floor, but for a client in this sector, standards are much higher and the finish failed to impress. The material did not flow as well as it should and the carbon within the matrix was not evenly distributed so that the floor looked patchy. 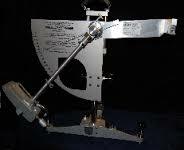 A decent product, but the workmanship has not reached the level required for this market sector. 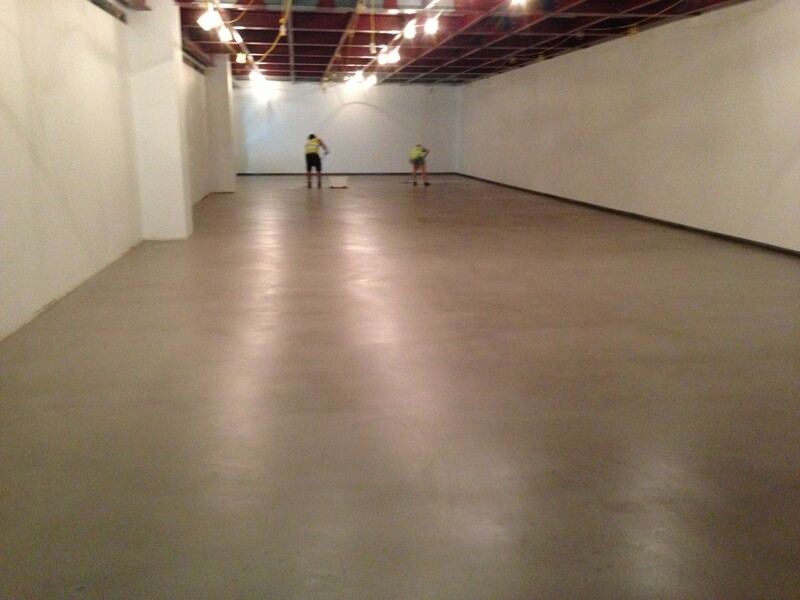 The commercial floor was a decorative trowel applied microscreed for an Art Gallery in central London. Function is no longer the driving force, but the look of the floor was all important. However, the client asked for a ‘concrete look’ and the floor certainly met that criteria, but what the client really wanted was a polished concrete. So despite getting what he asked for, it is not actually what he wanted. Finally, the domestic floor in a private home. Out of all the four floors, this one has been installed to the highest standard, using the best quality polyurethane materials. The floors are beautiful, seamless and perfectly flat. Installed on a timber substrate with a rubber crumb ‘shock pad’ to ensure there is no cracking. However, the owner a housewife turned project manager, with no experience of construction or flooring is not satisfied and until she is the flooring contractor will struggle to get paid. So what do these four floors all have in common ? None of the client’s expectations have been met, whether they have been mis-informed, they have misunderstood the type of flooring that they were buying, or they were over sold the product’s capabilities none of them are happy with the result. 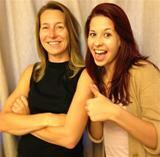 How can clients avoid finding themselves in this situation ? Although it may seem like a false economy to get independent professional advice prior to a resin flooring installation this could not be further from the truth. 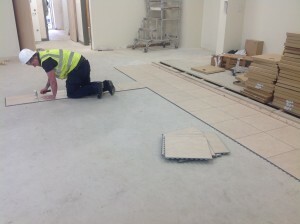 Ensuring that you understand the type of flooring that will be installed, how it will perform and how it will look is the minimum of information that is needed when a sizeable investment is being made. The expense of getting an independent professional opinion and advice will certainly be outweighed by the saving of time, stress and further money spent to make repairs or adjustments additional to the initial spend. 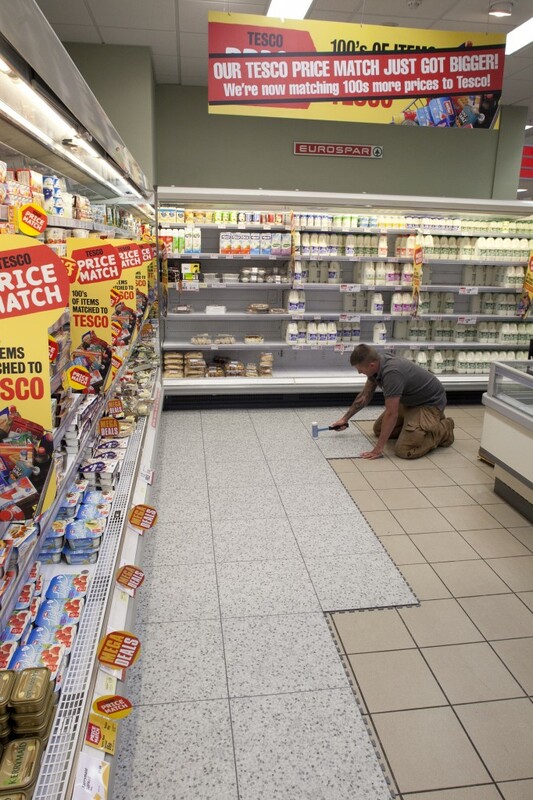 My latest project has involved working with a leading supermarket to trial a new interlocking floor tile. 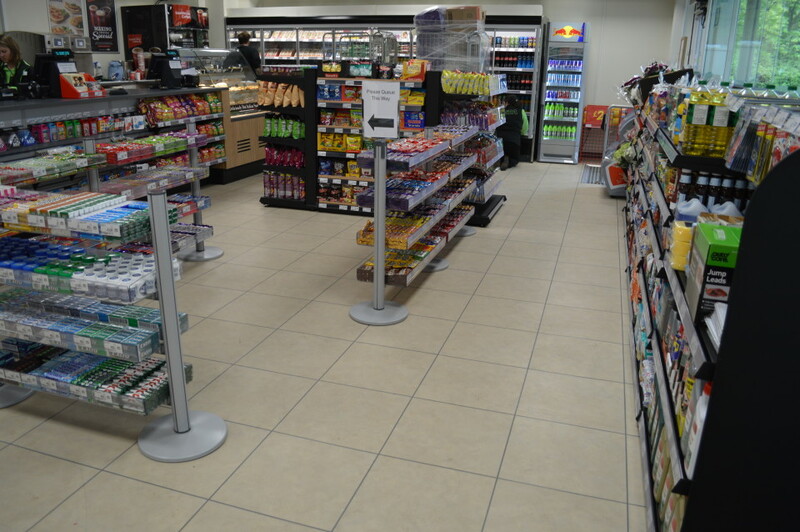 The Design Tile from R-Tek, was the flooring choice for a refurbishment project carried out at one of the supermarket’s petrol filling stations (PFS). Just under 100m2 of interlocking floor tiles had to be installed and this was done in a breath taking 5 hours from arrival on site to final clean down and demobilisation. No need for any floor preparation, levelling or the use of primers or adhesives, these tiles can be loose laid as the strong hidden dovetail interlock ensures that the interlocking floor tiles are completely bound together. 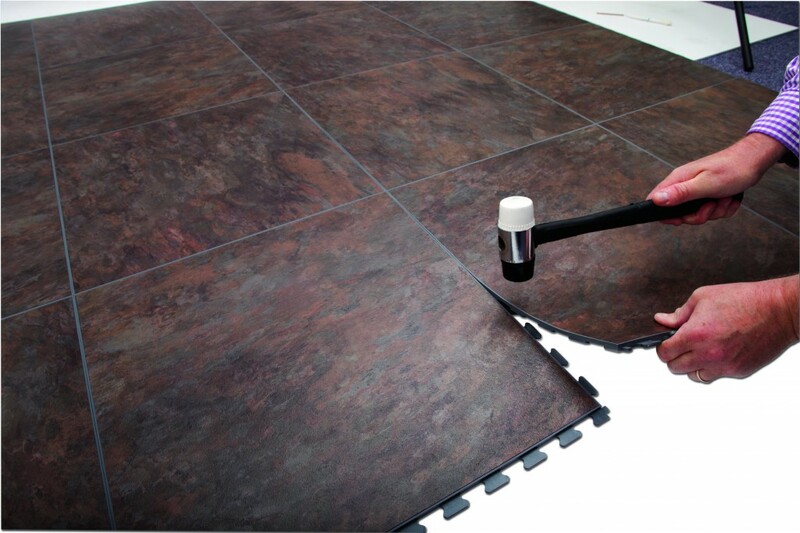 The interlocking floor tiles easily fit together and with a rubber mallet they can be clicked together with ease. If unexpected damage occurs to the floor in the future, it is easy to replace one or two of the tiles, without causing any disruption to trading, a fantastic advantage compared to sheet flooring, tiled flooring and resin flooring, where repairs can be time consuming and expensive. 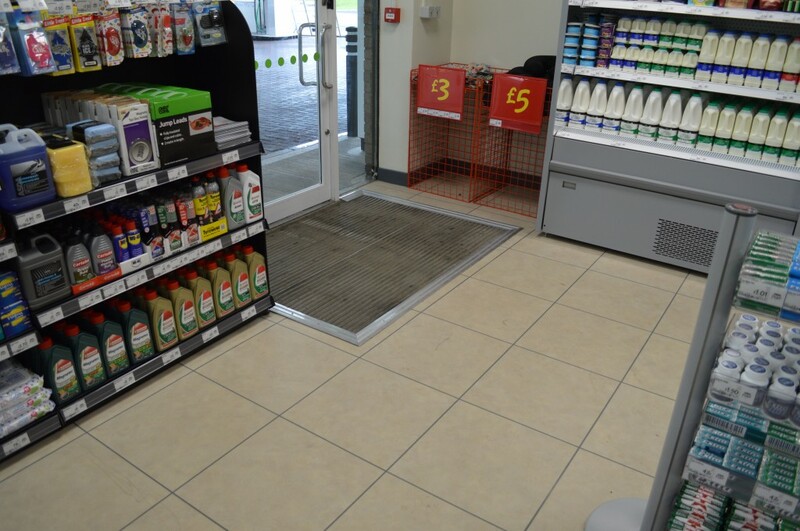 The finished floor has the appearance of a tiled surface but the performance and feel of a resilient safety floor. Easy to clean, but slip resistant “Design Tile’ is ideal for this type of environment. Last week I was delighted to help bring about the first Solacir Interiors training workshop using Microscreed in the UK. Along with Floored Genius (UK) Ltd and Grace Construction Products Limited we trained six delegates from four companies in the application of this modern mineral material. 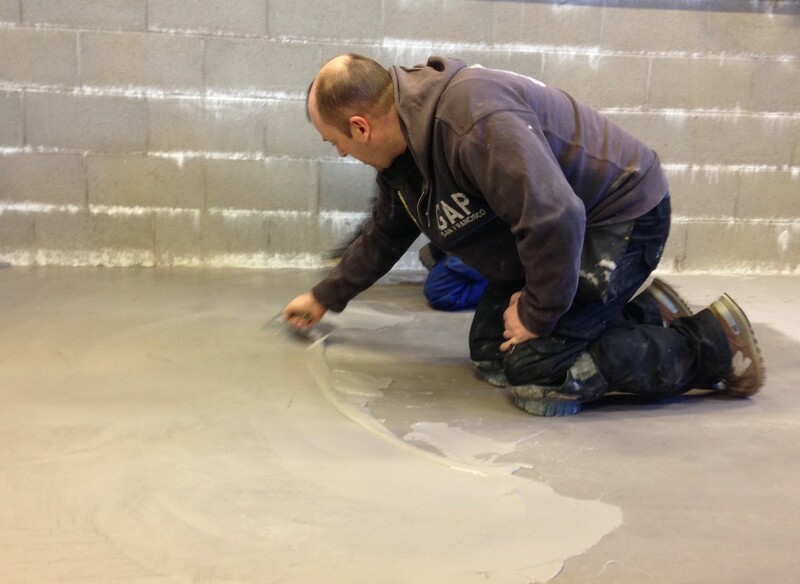 As well as practical workshops focusing on the mixing of the microscreed and the application of the product by trowel there were also theory sessions covering, surface preparation and the application of protective sealer coats and wax. Additional tips and techniques were provided by an expert from Grace who came over from France specifically for the training. The day was hugely successful, giving the delegates a new appreciation of the versatility of this modern mineral material and resulting in a fantasic new microscreed floor in the workshop for the hosts Floored Genius (UK) Ltd.
For information on future training workshops please feel free to contact us. For the past 16 years I’ve been working with flooring systems in the industrial and commercial flooring sectors. In that time I’ve worked with some of the largest flooring manufacturers on major construction projects all over the world. These companies are often striving to develop new innovative flooring products, using the latest chemistry and configurations. However, during my time in the industry it has been rare to see a product that is not just innovative, but is a product that clients will embrace, because it solves their problems. Manufacturers R-Tek have introduced me to the latest innovation in commercial flooring design – the Design Tile and it’s remarkable. Not only is the Design Tile quick and easy to install, it’s resilient, attractive and, most importantly, slip resistant. It has an R10 rating and more importantly when tested with a pendulum has a PTV > 36, both dry and wet: it’s ideal for commercial businesses with limited down time and it’s guaranteed to keep the Health & Safety Executive happy and your insurance premiums low. 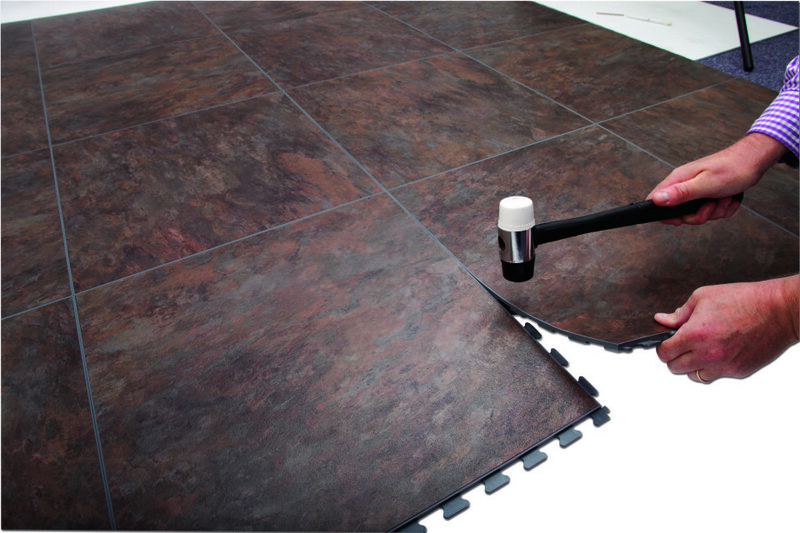 Because the product is loose-laid there’s no need for any special surface preparation before installation, plus its strong, hidden, dove-tail interlock ensures that the tiles are securely bound together with no hazardous, unsightly seams. The Design Tile is a best-of-both-worlds product; the strength and durability of a uPVC interlocking tile, but with all the features and performance values of a resilient floor surface. I’m fascinated with this recent development in flooring technology, so stay tuned for more information soon – the Design Tile isn’t common knowledge as yet, but in my opinion it’s going to take the world of commercial flooring by storm, so watch this space. My eldest daughter Megan has an autoimmune condition called Mixed Connective Tissue Disease (MCTD), it is quite rare and has symptoms of various conditions such as Lupus, Arthritis, Scleroderma and Raynauds. As such there is no UK charity that directly funds research into MCTD, so when my partner Elizabeth and niece Jessica agreed to run a half marathon to raise funds and awareness they found it difficult to choose a charity, but eventually they decided on the Raynauds and Scleroderma Association (RSA) as Megan does persistently get bothered by attacks of Raynauds phenomenon in her fingers. I know there are lots of worthy charities out there, but if you are able to make a donation for this less well known condition please follow the link to this Just Giving page, Thank you. My most recent project has involved the installation of a 10mm self levelling decorative concrete floor at The National Gallery, Trafalgar Square, London. The material was supplied by a French company, ‘waxed concrete’ is much more widely used on the continent and after this project, I must admit that I am quite a fan. The mineral composition of the material gives a very natural finish and the use of modern sealers and wax allow a choice of aspects; gloss, satin or matt. The finished floor is flat, smooth and dense, the sealers and wax ensure that it will stay that way and unlike polished concrete it is not going to crack or deteriorate over time. Although it wasn’t looking likely this time last week, I am glad to report that we have completed the ‘wet pour’ to the play deck roof and despite the snow, a roofing company’s demise and some technical issues, a sunny weekend helped us get there in the end. So my involvement with this project is coming to an end and I am ready for my next assignment. 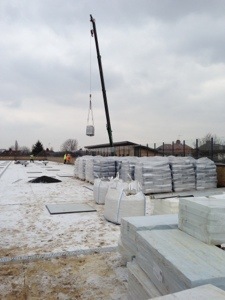 Well we picked a fine week to commence the ‘wet pour’ works on the play deck roof, it was freezing, a layer of snow covered the surface and the wind chill made it feel even colder. No ‘wet pour’ could be installed in these conditions, but we were able to get all of the rubber crumb and EPDM on to the roof. This was my first ‘lift plan’, risk assessment and method statement for working with a crane and it was drafted by the crane company and approved by the main contractor and everything went to plan. So the knowledge from the SMSTS course was put to good use. We just need to wait now for the weather to turn warmer and we can get started on installing nearly 2,000m2 of EPDM surfacing to the play deck roof. So far we have only installed a small amount of ‘Wet Pour’ EPDM surfacing to a courtyard area, but it does look pretty good. My latest challenge is the management of a six figure project for a client whose area of specialisation is in the supply and installation of high impact safety surfacing known in the industry as ‘wet pour’. It is an opportunity for me to merge my old civil engineering knowledge with my more recent resin flooring knowledge and use it to good effect in managing this complex surfacing project. 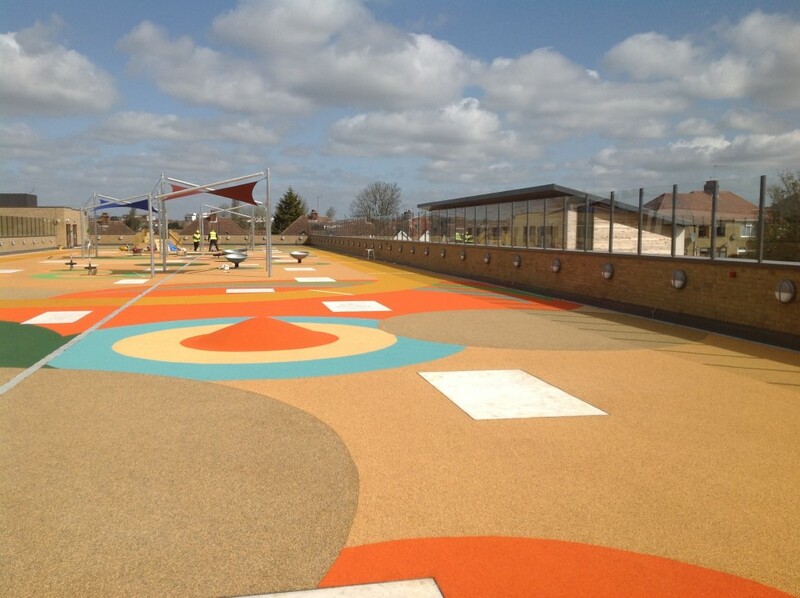 Wet pour is designed specifically for use in play areas and playgrounds and it is an innovative play surface with a multi-layer system. The wet pour base layer consists of granular SBR recycled rubber, which sits on top of a sub-base. (This could be a ‘Type 1’ sub base, or a tarmac surface, but on this project the SBR layer is 25mm thick and on a roof deck. The wet pour top layer consists of 15mm deep, high grade, EPDM rubber granules, which are manufactured in a wide range of colour options. This is the typical mix required for school playgrounds, play areas, pool surrounds, walkways, patios and other similar applications. A special solvent-free polyurethane resin binder is used for both the SBR and EPDM granular layers. 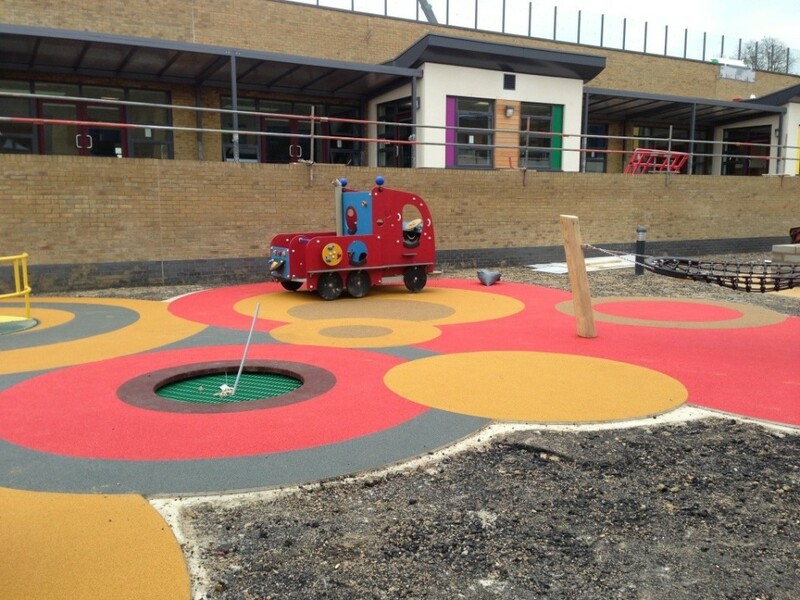 The play area surface is porous and designs and patterns can be incorporated into the overall surface design without affecting the product integrity. On this project there are some very elaborate shapes and designs. I am really looking forward to seeing the product being installed and judging by the Architect’s plans the finished surface is going to look really impressive. I will definitely be posting some photos. My latest project has involved the installation of resin comfort flooring for Floored Genius. Comfort flooring systems offer the end user the benefits of a cushioned vinyl floor, but with the added benefits of a seamless and hygenic floor. Sometimes referred to as ‘Liquid Vinyl’ these floors from Floored Genius could not be further away from vinyl sheet, as they use the highest quality flexible polyurethanes to form a seamless finish. Comfort flooring is an interesting product from an installation point of view, as the initial stages require the skills and experience of a vinyl floor installer and the latter stages utilise the skills of the resin floor installer. So why use comfort flooring ? Well this project is for a contemporary residential project where the added comfort, acoustic benefits, crack bridging properties and the striking good looks of a seamless white floor to an open plan living quarter, make it a perfect choice.